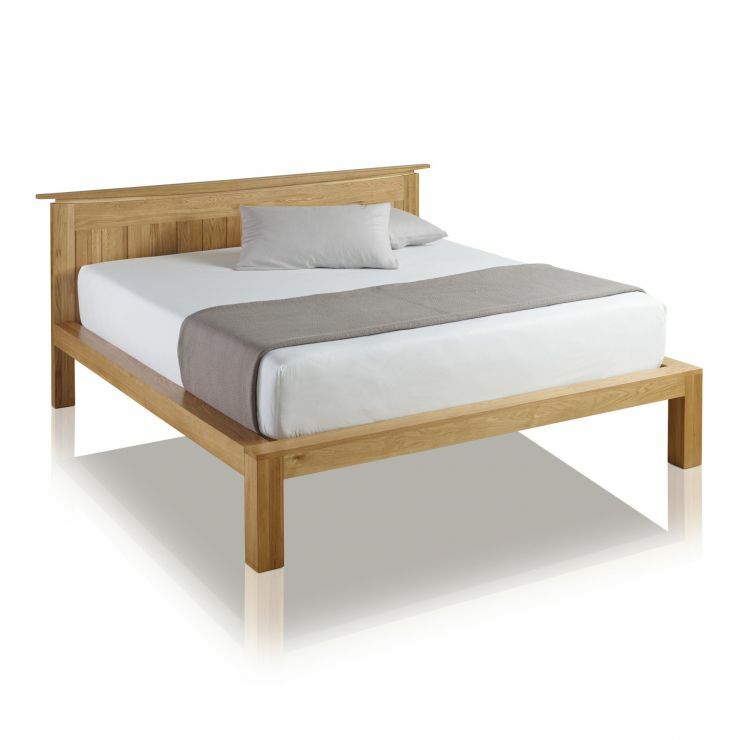 The Tokyo Natural Solid Oak Double Bed is handcrafted by expert joiners using premium grade cuts of solid oak. 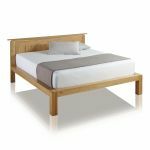 Measuring in at 171cms wide and 192cms deep with a 100cm tall headboard, it features a striking solid oak border which will frame a standard double mattress perfectly. 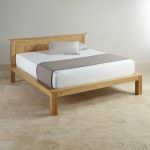 The design is exclusive to Oak Furniture Land and is distinguished by an eye-catching bowed top with inlaid panelling. We only ever use the finest materials and you'll never find an inch of chipboard, MDF or veneers in any of our products. 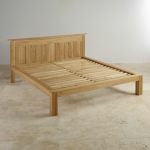 This means you can rest assured on the build quality - even the slats are crafted from A-grade solid oak! 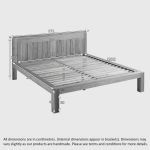 If you choose to invest in one of our solid hardwood beds, make sure you check out our collection of high quality mattresses, too - they're specially designed to ensure a great night's sleep, night after night.